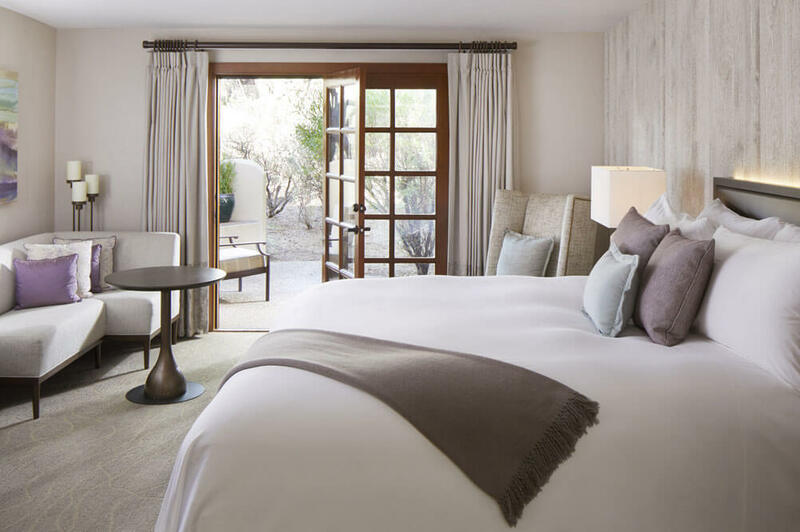 Unwind at the base of Tucson’s Santa Catalina Mountains in the feverishly lauded Miraval Spa & Resort where well-being is paramount. 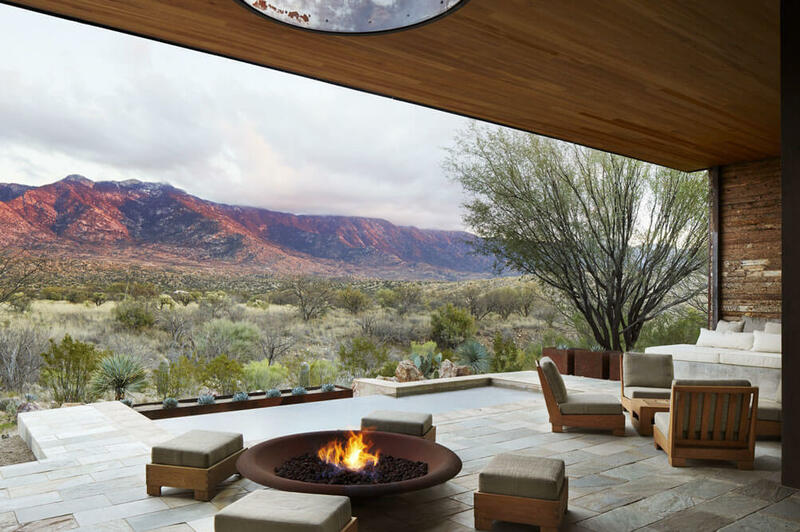 Sitting on 400 acres of startling beauty in the Sonoran Desert, the resort functions under a mantra of “Life in Balance” and offers myriad ways of attaining it. Marvel at calming views from your serene accommodations, unique spa treatments, nourishing cuisine, exceptional classes (both active and intellectual). No one approach fits all—and top-tier wellness specialists are on-hand to assist in the curation of your individual well-being plan. Consider a stay at Miraval an investment in yourself. Consistently ranked as one of the world’s top destination spas, Miraval is the perfect stay whether you’re healing from a loss, seeking a retreat with friends, your spouse, yourself or family. There’s no shortage of activities and amenities to help you de-stress and bliss out. Must-do Experience? The Yin Aerial Yoga class is such a unique experience! And the food is incredible—so fresh! The setting at Miraval is so peaceful. You emerge after your stay feeling like a renewed version of yourself! Miraval Spa & Resort is an easy 45-minute drive from the Tucson Airport. The Resort offers a complimentary shuttle service from the airport to the property. Please feel free to get in touch with us for help with your travel plans. 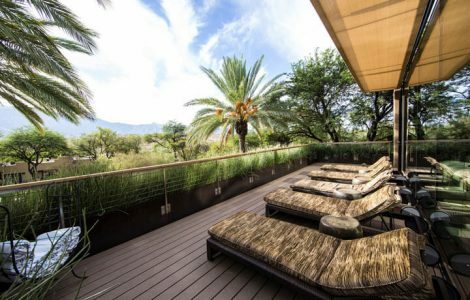 In addition to numerous spa services, exceptional food and a cultivated healing atmosphere, Miraval prides itself on its idyllic location from which it can offer stunning desert hikes and wildlife viewing. 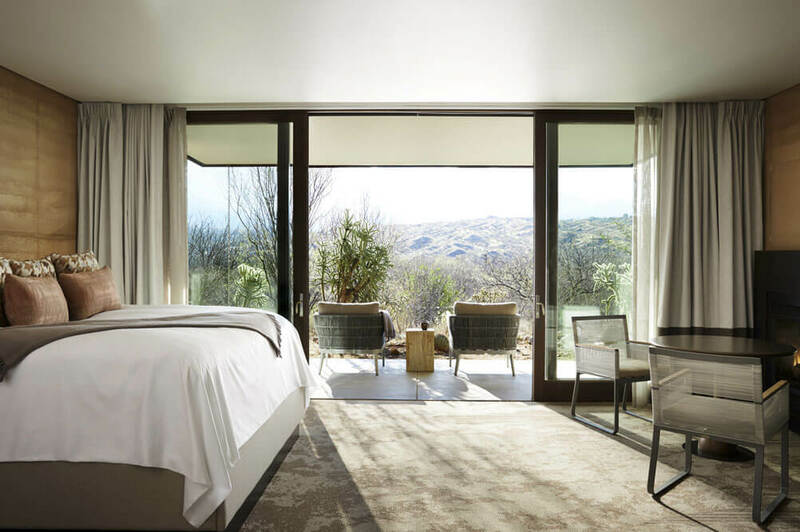 Built at the base of the Catalina Mountains, Miraval Spa & Resort offers luxurious rooming grounded by a mindful approach to life. With a variety of casita-style accommodations, the resort is able to meet group or individual needs at the highest level. The Room Collection is comprised of the Dreamcatcher, Native Spirit and Sunrise Rooms. They range in size from 400-600 square feet and come with signature Miraval bedding. 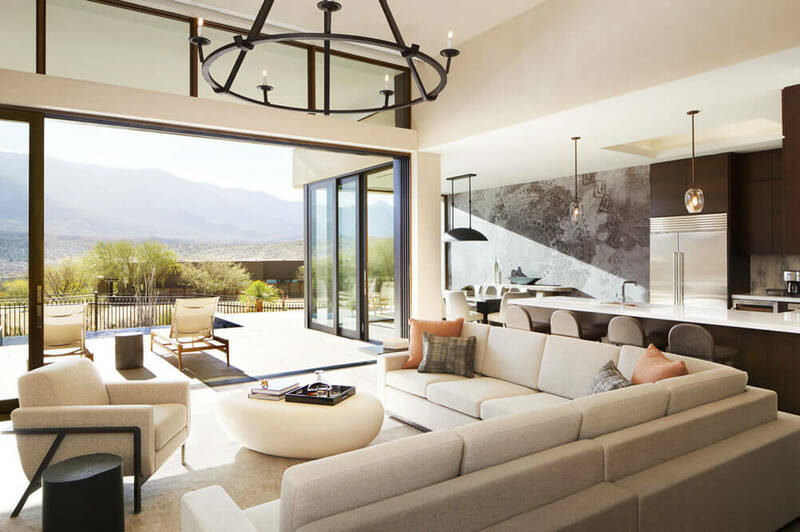 The Suite Collection is comprised of the Miraval, Desert Sky, Catalina and Sonoran Suites. They range in size from 600-1,000 square feet and provide more space to move around, as well as upgraded amenities. Meant to draw out the beauty of the desert landscape, the Villas offer modern accommodation and include two to three bedrooms, along with private terraces. The Retreat is Miraval's newest accommodation addition consisting of 22 residences perfect for group getaways, corporate retreats, family get-togethers, etc. Offering one-of-a-kind amenities and kitchen facilities these abodes vary from studios to expansive living spaces. A continent as geographically sprawling as North America offers myriad properties and experiences nearly as diverse as the continent itself. Here are a few of our favourites. Looking to extend your adventure? Discover a few ways to weave Miraval Resort & Spa into an even grander journey.